Left upper back pain: What You Can Do To Achieve a Pain-Free Upper Back? Left upper back pain: What You Can Do To Achieve a Pain-Free Upper Back? Back pain is a common discomfort that most people, at some point in their lives, would experience. The pain ranges from a simple body ache to that which leaves some stabbing and deep pain to our backs. The discomfort can be anywhere from the upper back to the lower area of the back. Among those which are commonly complained about is the left upper back pain. The pain on your left upper back can be attributed to many reasons. Its remedies, meanwhile, is just as plenty as the possible causes of the pain. Many people would rush to see their doctors as soon as an ache or discomfort arises. However, there are left upper back pain which can be treated at home or without medical intervention. This article will answer questions as to the possible cause of your back pain and what you can do to ease the same. 1 What is an upper back pain? 2 Why does my left upper back pain hurt? 3 Is there anything I can do to alleviate the pain? 4 When should I see the doctor? What is an upper back pain? As we age, we are more likely to experience different types of body ache, pain, or discomfort. 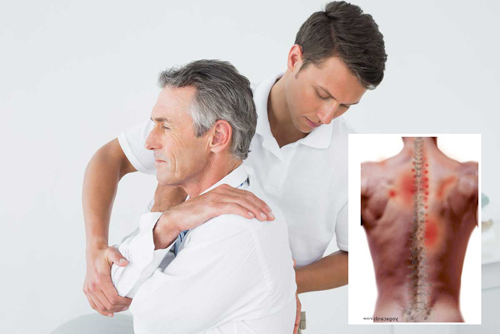 An upper back pain is that pain on the back side of the chest as well as the upper portion of the abdominal area, which includes the shoulder blades and that part where the rib cage links to thoracic spine. As distinguished from the lower back pain, upper back pain is not as common as the lower back pain considering that the upper back is not involved in motion as much as the lower back. Why does my left upper back pain hurt? One of the most common causes for upper back pain on the left side is a strain in the muscle. The back consists of muscles among other organs, Muscle strain is generally caused by overstretched or overused muscles. This happens when, because of excessive muscle stretch, the muscle fibers start to tear. Apart from the pain, it also comes with tenderness and swelling. If it is not a muscle strain, then it could be arthritis. Arthritis is another possible reason why you suffer from a left upper back pain. When the cartilage between the joints breaks down, it results to pain in your shoulder that reaches up to the upper left portion of your back. It could also be an osteoarthritis involving the bones of the spine. Arm movement and sleeping may be a little difficult when suffering from arthritis. If you have been recently or previously involved in an accident or injury, the same could have resulted to trauma like a fractured vertebra that hurts your upper left back. So if you have been involved in an accident, you have to consider it as the cause for your discomfort. Joint pain causing left upper back pain could be anywhere between the joints in the shoulder, joints in the spine, or even joints that connect the rib cage to the spine. It produces deep, sharp, and stabbing pains, which aggravates during movement. Poor posture does not only result to lower back pain, but also a pain on the upper back. With improper posture, your back tends to work more because of pressure. Even a poor sleeping position results to pain both in your upper back and the neck. A complication in your digestive system may be contributing to the left upper back pain. The Irritable Bowel Syndrome (IBS) is a chronic condition that affects the large intestine causing cramping and abdominal pain. When it is coupled with trapped gas, it causes pain to the upper left abdominal quadrant that goes through the upper left back and even upper left shoulder. Not only does a pinched nerve bring lower back pain, as it may also affect the upper back. This is especially so when bulging or herniated disc is formed in the neck spine, thereby compressing one or more nerves. Pinched and irritated nerves along the spine, particularly in the thoracic area, cause stiffness and pain in the upper back. The pain usually arises on one side of the body. One life-threatening cause or implication of an upper left back pain is heart attack. The pain that manifests a heart attack usually begins on the chest and radiates to the upper back. Is there anything I can do to alleviate the pain? Apart from life-threatening conditions like heart attack, there are many ways you can do to address the pain the upper left back. The pain may be relieved by over-the-counter medicines or painkillers. Heat and cold therapy or application also alleviates the pain by either relaxing the muscles and stimulating blood flow or narrowing blood vessels thereby slowing down blood flow. Essential oils﻿ that ﻿soothe the muscles also help in managing the discomfort. There are also exercises that help ease the pain and discomfort. This is particularly helpful when the pain comes with stiffness of the back. Getting yourself an ergonomic chair for office is also a good help to alleviate and even prevent upper back pain. The same effects if you use proper mattress. If you have been overworked recently, then giving yourself a good rest is required. Most cases involving upper back pain does not pose serious threat to one’s life. Thus, they can be treated with self-help or alternative or natural methods. However, when such pain comes with difficulty in breathing, nausea, indigestion, chest and abdominal pain, you may have to see your doctor. The literature on upper left back pain is not at par as those written about lower back pain, but it indeed growing. Generally, a pain on the upper left side of your back does not entail a serious situation. 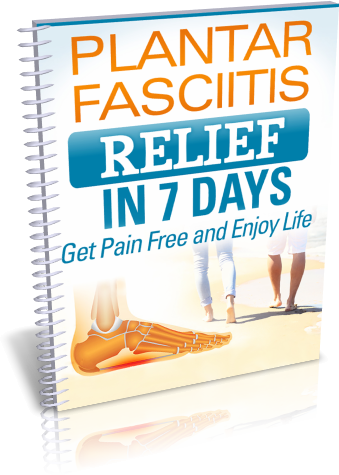 There are methods that you can do at home to alleviate the pain. In more serious condition, such pain could only be an implication of an underlying ailment. This only means that one should not downplay the pain in the upper left back.